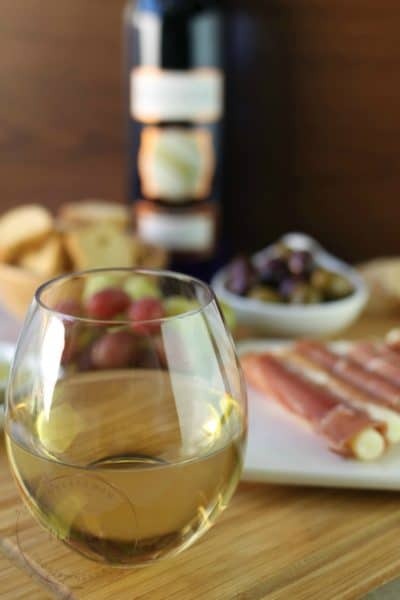 We are counting down the final days of summer here in the Moscato household! Sami is beyond excited – and also incredibly nervous – to be heading to college this year. We have been going through our list of things to get done before college starts, and one of them was, of course, to get a dental check up and cleaning. Sami and I both checked out cavity free and were given our little baggie of goodies with a new toothbrush, toothpaste and a sample of LISTERINE® TOTAL CARE Mouthwash. This was the first time I have ever received mouthwash in my little bag, so I knew my dentist must really recommend it. When I had a chance to team up with Collective Bias to talk about the exact product my dentist had just recommended the week before, I was stoked. Another perfect dental check up for us both! LISTERINE® TOTAL CARE FRESH MINT Anticavity Mouthwash and LISTERINE® TOTAL CARE ZERO ALCOHOL FRESH MINT Anticavity Mouthwash help prevent cavities, restore minerals to enamel, kill bad breath germs, clean the whole mouth and freshen breath. No other mouthwash is more complete* than LISTERINE® TOTAL CARE Mouthwash. The zero-alcohol formula cleans deep to kill millions of bad breath germs for a healthier mouth, with a less intense minty flavor. It is no wonder LISTERINE® is the #1 Dentist Recommended Mouthwash Brand. We tried the little samples while we were at the dentist, and agreed that we wanted more. So we headed to Target on our way home to get our own big bottles. 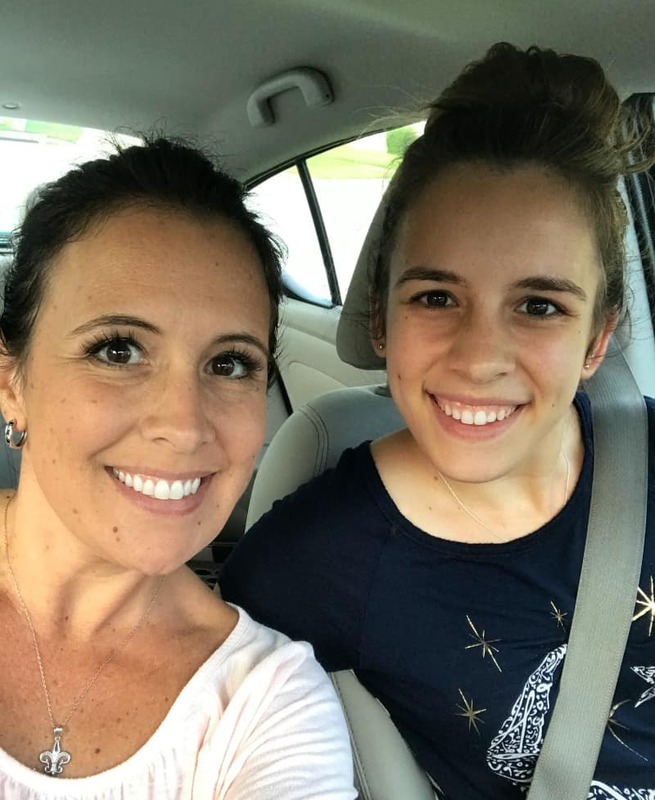 While I was excited about the health benefits of LISTERINE® TOTAL CARE, Sami was most excited about feeling confident that she would not have to worry about bad breath as she heads off into her first year of college. 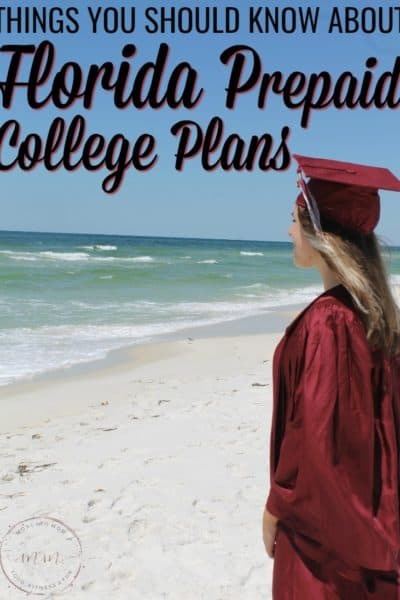 She has already taken many college classes while in high school, so even though she is technically a college freshman, she will be in some pretty advanced classes, making her the youngest person in the room. 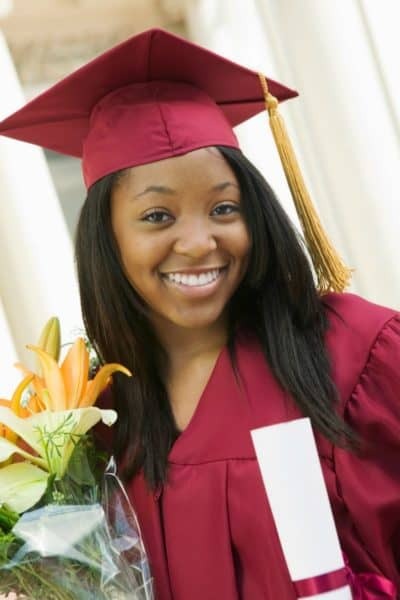 I want her to go boldly into these classes feeling her absolute best and having a beautiful smile and fresh breath can help to do just that. 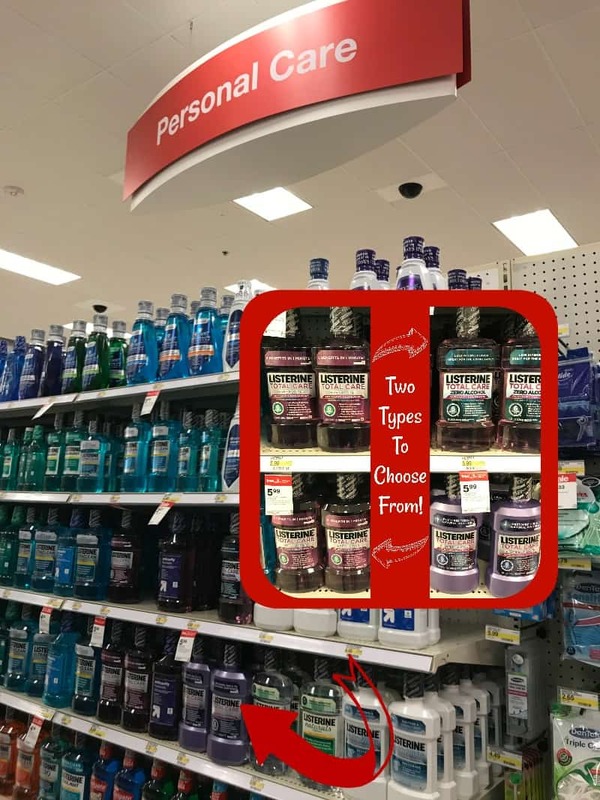 Now through September 9th when you buy three LISTERINE® TOTAL CARE FRESH MINT Anticavity Mouthwash 1L or LISTERINE® TOTAL CARE ZERO ALCOHOL FRESH MINT Anticavity Mouthwash 1L You received a $5 Target Gift card. 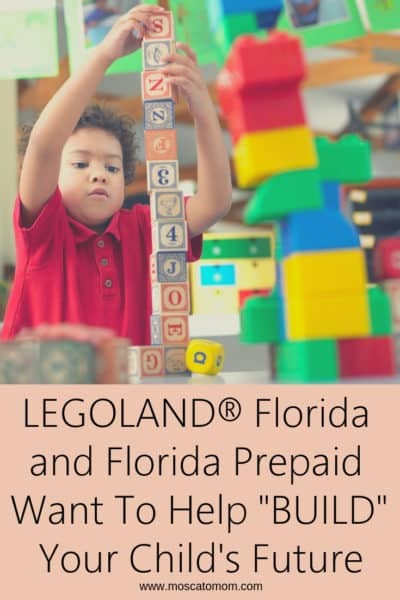 You can shop your local Target or shop Target Online. 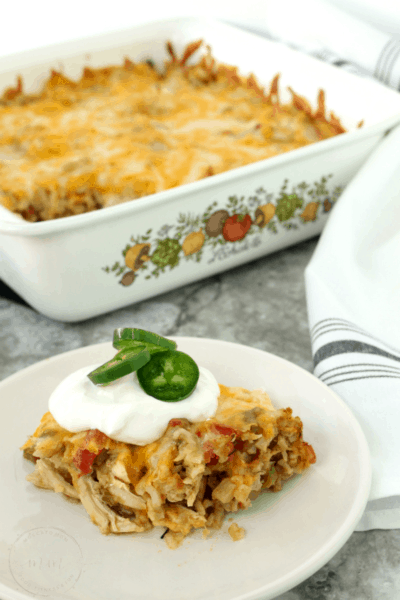 You can even click on the image below to be taken right to where you can order right away! How cool is that?! Understanding the importance of using LISTERINE® TOTAL CARE daily made us both want to keep our bottles front and center on the bathroom counter so we would remember to swish daily – this, however, meant something else to clutter up the counter with. For whatever reason, Sami and I both struggle with keeping the bathroom counters clear – so when we discovered something else we needed to add, I knew it was time to get serious about taming the chaos that is the bathroom counters and cabinets – especially with her needing to be able to share a small bathroom with her college roommate soon! 1. Start by pulling everything off of the counters, out of the medicine cabinet and out from beneath the sink. Chances are you will find things in there you didn’t even realize you had. Throw those things away. 2. Begin two piles – one for things you want to keep and one for items you can gift away to your girlfriends or your local women’s shelter or senior citizen home. Chances are there are products in there you have only used a time or two, and you can really make someone’s day with a little pampering gift. 3. Then go through and figure out what you really need. When was the last time you actually used that face wash that dried your skin out? How long have you had that makeup compact? Do you really need those 27 little miniature samples you got in that subscription box – half of which are the wrong color? 4. If you have duplicates of things, consolidate down to one bottle if you can. I somehow had five different bottles of the exact sale leave in conditioner… five! All with only a little bit left in the bottle! I was able to consolidate down to one large bottle and one smaller bottle to refill, and then I was able to throw the other three away. Voila! 5. REPEAT!! Honestly, get in the habit of doing this little purge often to keep the bathroom counter clutter to a minimum. We tend to acquire more “stuff” every couple weeks, so going through your stuff once a month will help you significantly cut down the excess stuff you do not need. Once you have whittled down your “keep” stuff, you need something to put it in. There are bathroom organizers and baskets and such at the store – or you can make your own that fits just exactly what you need – which is what we decided to do. Check out how easy it is to make your own DIY Bathroom Counter Organizer. Start by measuring your bathroom counter so you know exactly how wide you can make your PVC Bathroom Organizer. Start with the largest piece and work out from there. For the main piece, I used a 4″ x 4″ x 2″ PVC WYE. It perfectly fits your hair dryer and straightener or curling iron and is a good, heavy base piece. I then chose other coupling pieces in assorted sizes for her lotions, deodorant, hair spray, makeup, brushes, and even lip glosses. Using the shallow box as a flat surface, lay out your organizer how you want it to look and so that it will fit your bathroom counter. 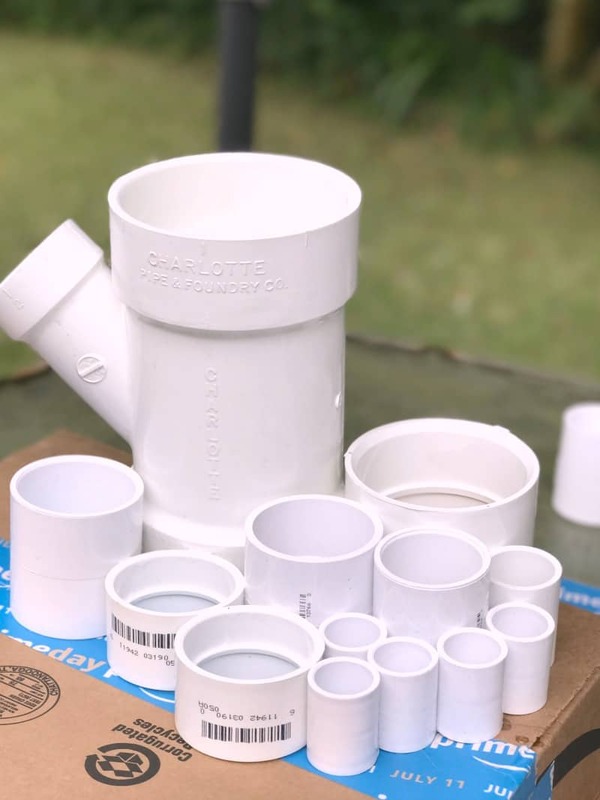 The PVC Cement has a little cloth dobber attached to the inside of the lid, so once you lay everything out you can begin cementing each piece together – generously applying glue and then holding the pieces together firmly to hold. 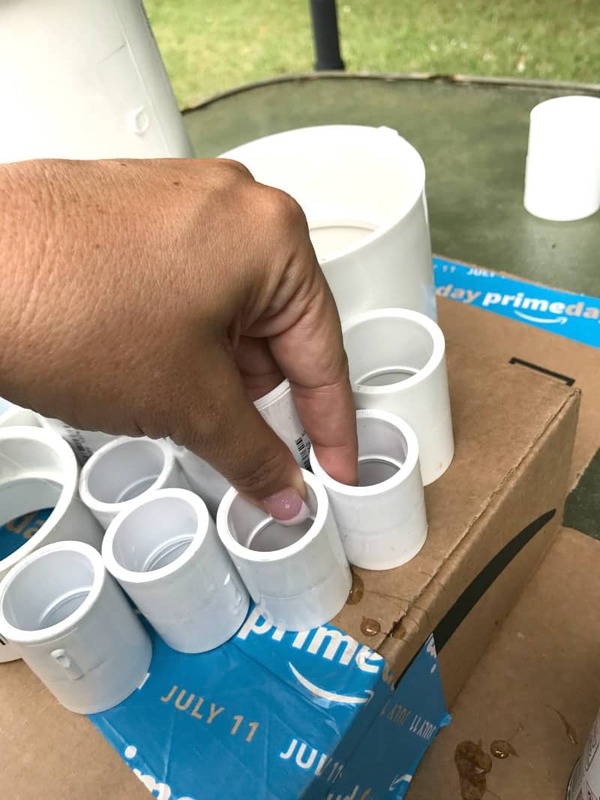 Be generous with the glue – it is ok if it drips onto the box. The benefits of the box are to keep a flat surface that you can easily peel off if it gets stuck. Once you have all of your pieces firmly cemented together, let dry completely – moving the entire thing often to keep from sticking too badly to the box but also to make sure none of the pieces move or come loose. If they do, simply add more cement and hold firmly together. Once dry, take the entire organizer to a shaded area with plenty of fresh air to paint. 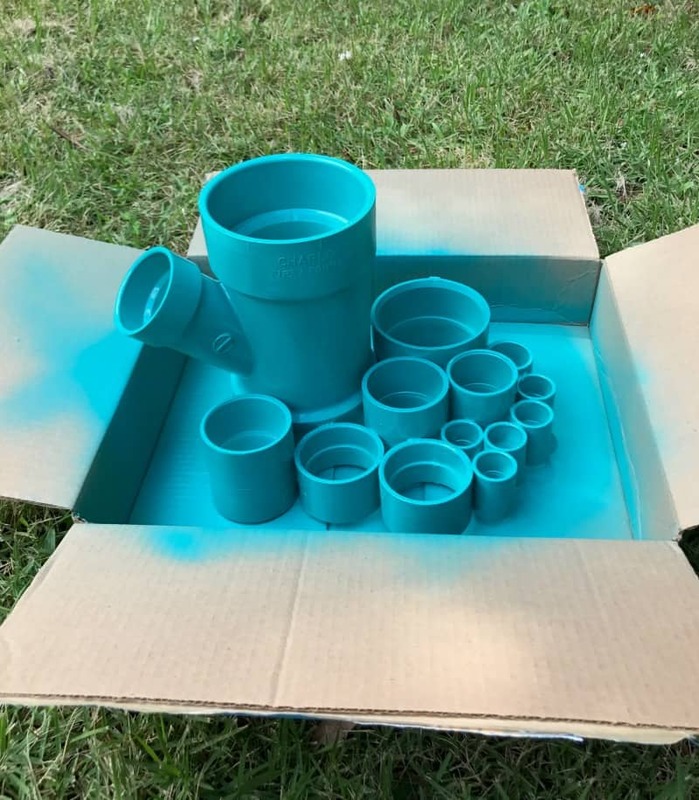 You can flip the box right over to keep the spray paint contained. Using your spray paint made for plastic, simply coat your organizer down and let dry completely. Now, I personally wanted to add some fun polka dots or flowers or something to this, but that was “too childish” for my college freshman, so we left it her favorite color blue. Once it is completely dry you are ready to bring your PVC Organizer in and fill with all of your bathroom counter necessities. (Honestly, once she got all of her stuff in it I am not sure the polka dots would have even shown!) This was a fast and fun craft that works perfectly for what she needs and keeps her bathroom counter looking nice and tidy. It also keeps everything right in eye sight, so she does not forget anything. She has enough on her mind with college – her morning routine should be simple. 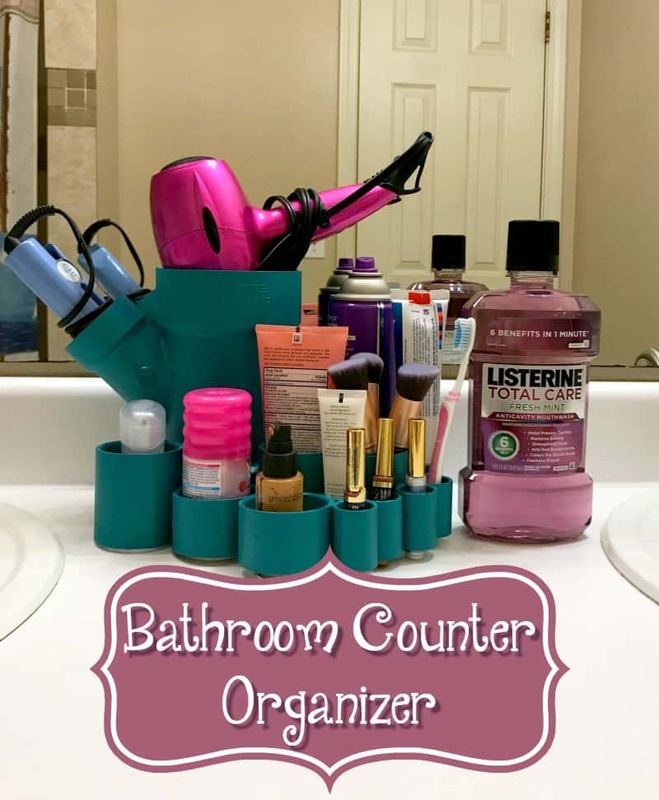 She absolutely loves her Bathroom Counter Caddy – and I love it so much I think I need one too! It is perfect for keeping all of the things you use daily right at your fingertips. Whether you are heading to college, back to school, or even to work, you can Go Boldly feeling confident with a great smile and fresh breath with LISTERINE® TOTAL CARE. Head to Target and stock up and get your $5 Giftcard! Really like the Bathroom Counter Organizer. Going to give it a go..